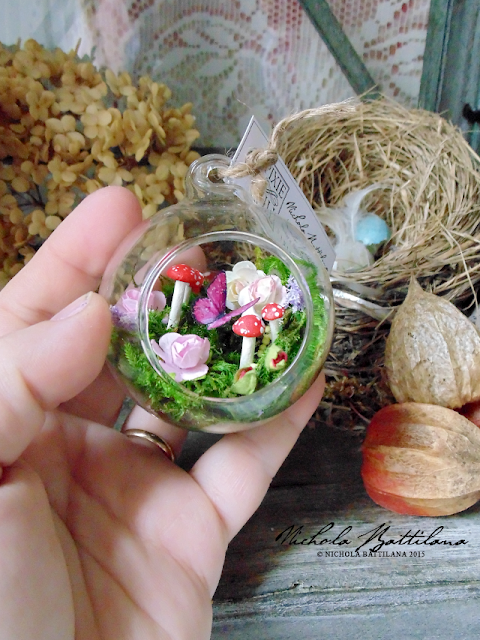 I got my hands on the sweetest handblown glass baubles this past summer and filled them with tiny fairy gardens. I've been holding off posting them because I thought they would make darling holiday gifts. 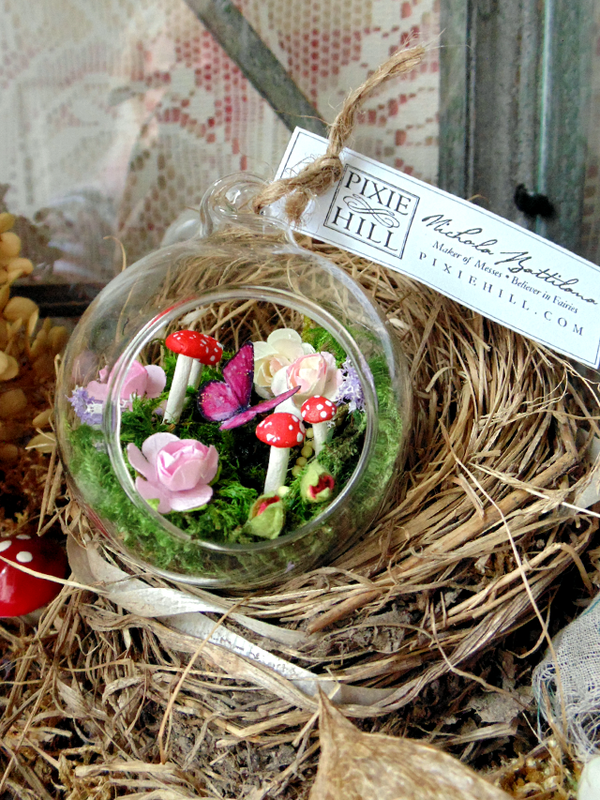 They are filled with moss, handmade toadstools and pretty paper flowers and butterflies. They are really, really sweet. 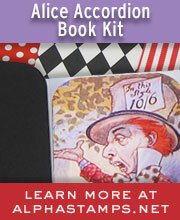 I have about a dozen and will be posting them in the etsy shop over the next week or so. 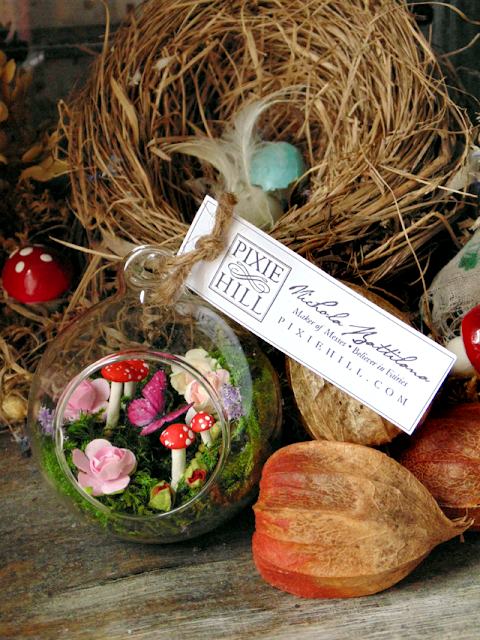 You can find this specific bauble listed HERE. 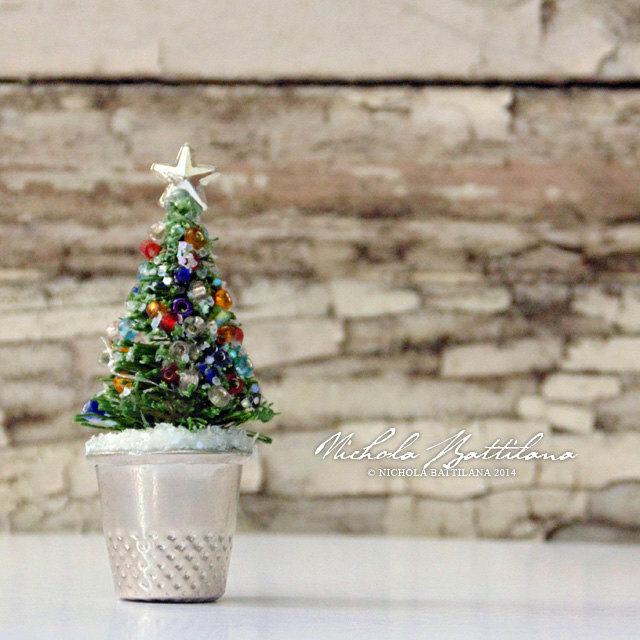 Also listed for the holidays, thimble trees! So darling all of them! Love the bauble garden, fairies would love that one as it hangs and the older ones don't have to bend over so much. I know what painful joints feel like. Great ideas and thank you for sharing. I do love the little thimble tree too. Would be great for doll houses.